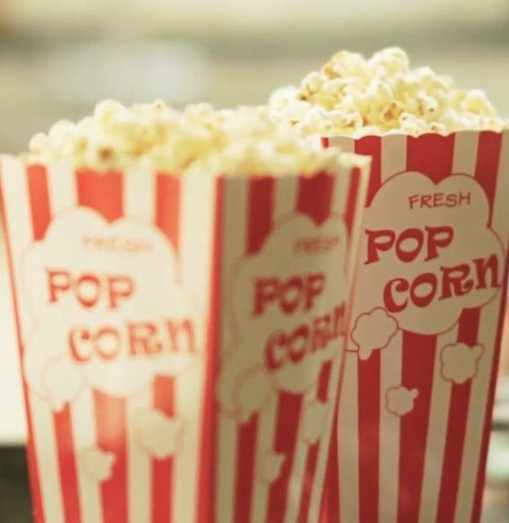 We were recently sent a Popcorn Maker to review from the Paramount Zone, we love popcorn in our household and being able to make our own was a brilliant idea. Every weekend we sit down with our daughter to watch a children’s film, a movie night before the little lady has to go to bed. Obviously for movie night we need snacks and popcorn and movies kind of go hand in hand. Usually we buy ready made bags of popcorn but it doesn’t have that warmth or the crispness of freshly popped corn. We’ve also tried to make our own microwave popcorn which gives us the warm fresh popcorn but its often burnt and then about 20% of the kernels do not pop which is rather disappointing. When the popcorn maker arrived I discovered it was a lot smaller than I thought it would be, so was delighted that I would be able to pop it in my cupboard of kitchen gadgets. I then went on a hunt to find a bag of popcorn kernels which seemed almost impossible, my local supermarket never had any but surprisingly my local newsagents did. We Isabelle had picked our film for movie night so as we were getting all snuggled down and ready to watch Monster Inc for the third time this week, I popped into the kitchen to give the new gadget a whirl. The machine is unbelievably simple to use, its a case of pop the kernels in, plug the machine in and flick the power switch and wait for the action to happen. The machine uses hot air to pop the kernels rather than oil in a pan so it means that they are a really healthy option until you add your toppings. Unlike the microwave, the machine pops the kernels evenly so there are none of those horrid bitter burnt bits and no surprises of broken teeth when you accidently crunch on kernel that hasn’t popped. I was surprised at how quickly the kernels started to pop and in as little as 3 minutes I had two cartons of fresh popcorn ready to eat. 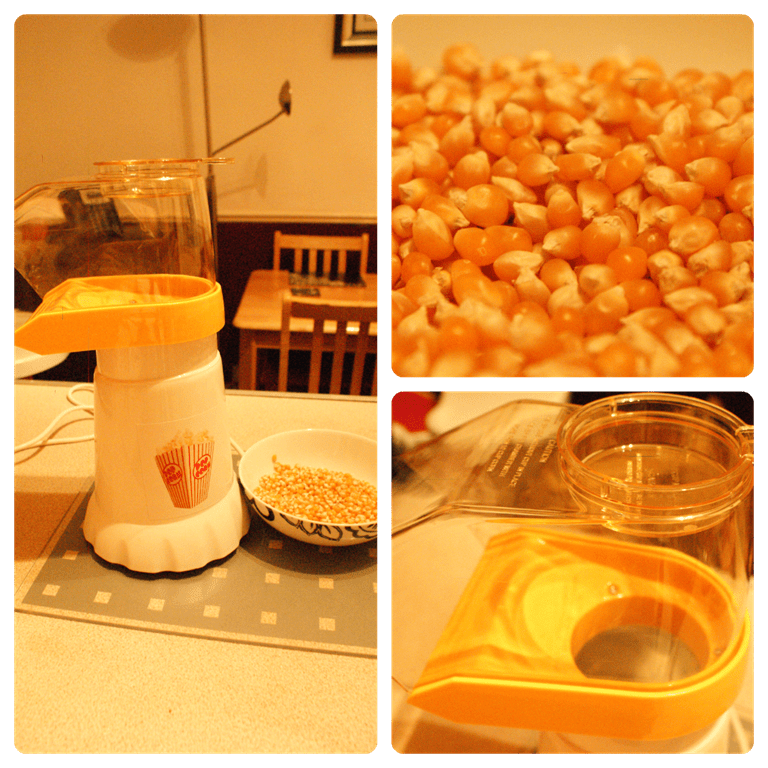 The machine features a little butter melting dish so you can melt some butter whilst your corn is popping ready to mix into your movie snack. The machine came with some rather cute cinema style cartons but being cardboard they do not last long, you can purchase more of these cartons from Paramount Zone if you desire for as little as £1.99 for 5. One thing I did notice about the machine was that it was rather loud, not dissimilar to the noise of a hair dryer. I wasn’t put off by this and with it only taking a couple of minutes to make my popcorn I didn’t have to have it on too long. 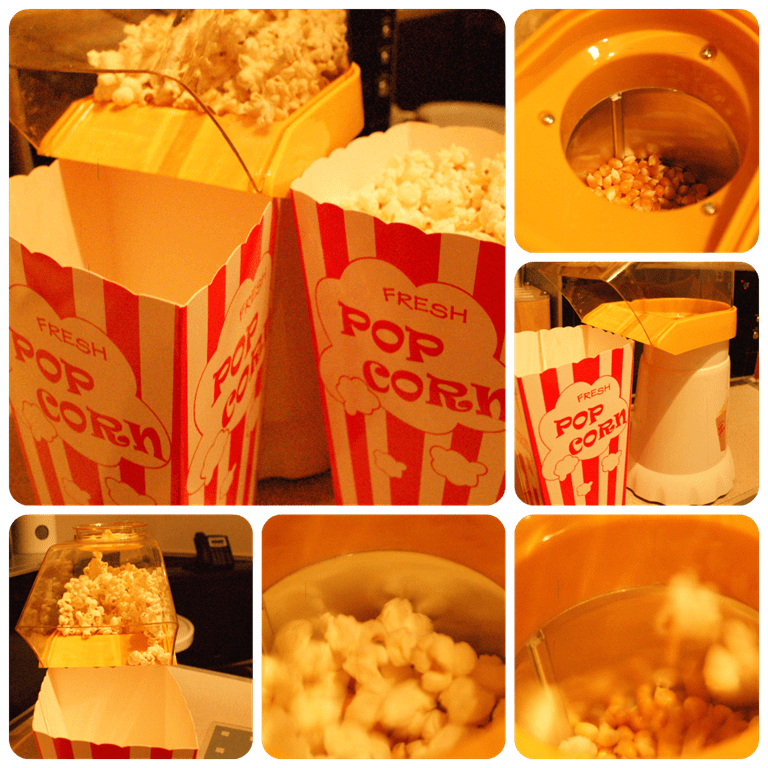 After use the machine is easy to clean and store away ready for the next time, leaving you to relax and enjoy your film. The machine offers great value for money with an RRP: £34.99 but currently on offer for the bargain price of £14.99 with free delivery. It would certainly make a great Christmas gift idea, perhaps even for those new parents that are struggling to get time out of the house for date nights.